Prepare strawberries. The should be hulled and sliced. 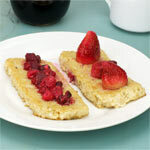 In a medium bowl, combine strawberries and brown sugar and gently stir until all strawberries have sugar on them. Set aside. In a medium saucepan over medium heat, bring water and milk and salt to a boil. Immediately add the oats and reduce heat to medium-low. 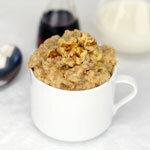 Stirring occasionally, allow oats to cook 5 to 6 minutes to desired texture. 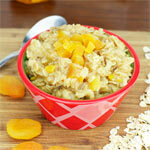 Fill four serving bowls with oatmeal, leaving room for the topping. Spoon 1 Tablespoon of sour cream on each bowl followed by 1/4 of the strawberries. 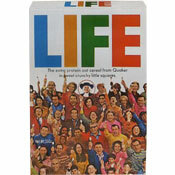 A lot more lively than instant oatmeal. And we all know how good oatmeal is for us. Try different flavored yogurts to make this recipe different every time. 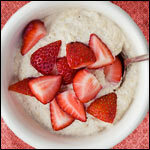 What do you think of Strawberry Oatmeal? Add a half a teaspoon of strawberry jello powder, for an even more powerful strawberry taste! Two thumbs up for this filling breakfast. I liked it a lot. I used frozen strawberries, they worked well. I added in a chopped banana and it was awesome! Thanks for the great recipe! This recipe was easy to make and it was very yummy! We made this with vanilla yogurt instead of sour cream. It was a hit. I used less berries than the recipe called for, but would up them next time as they really add the punch to the oatmeal. Add a tablespoon of cinnamon and leave out the sour cream, stir in a Splenda packet instead ... light, good for you with non-fat milk. One of my staples ... :-) Healthy!